PAMECA V | Workshop on proactive investigation techniques to fight against organised crime. Workshop on proactive investigation techniques to fight against organised crime. Home News Workshop on proactive investigation techniques to fight against organised crime. 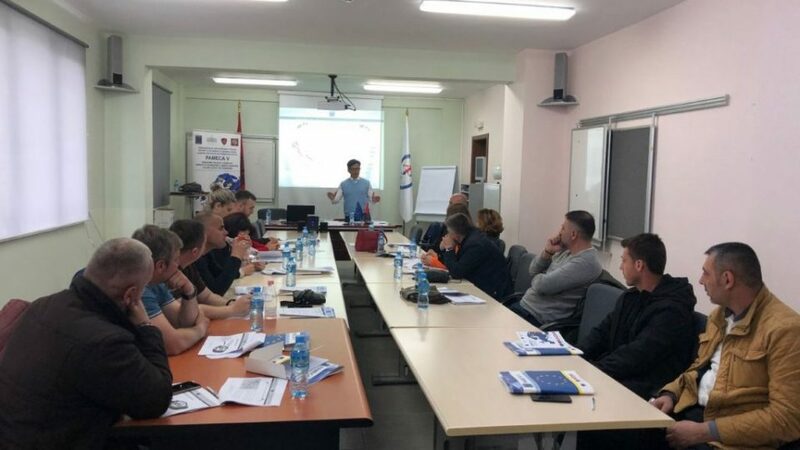 On April 10th 2019, PAMECA V organized a workshop on proactive investigation techniques using a case-study approach and interceptions in drug trafficking offences for 15 Judicial Police Officers working for the Local Police Directorates of Tirana, Elbasan, Durrës and Korça. The workshop revolved around the stages of the criminal justice response against organized crime, by focusing particularly on the investigation process and techniques and international cooperation. A concrete case on illicit transnational drugs trafficking was presented, by illustrating the investigative techniques used, good practices applied and also the difficulties and complexities that have been encountered by law enforcement officials. The overall purpose of this activity was to further develop the law enforcement officials’ competencies necessary to prevent, investigate and dismantle criminal activities that are carried out within the national territories or/and that cross borders.